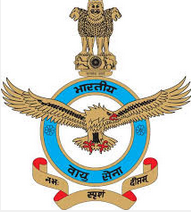 Indian Air Force (IAF), Rajasthan has published a Advertisement for offers opportunities for Unmarried Male Indian Citizens from the designated Districts of State of Rajasthan to become Airmen. Check below for more details. Graduate in Arts or Commerce or Science with B.Ed Degree or Two years teaching experience in a Government recognized School/ College, with minimum 50% marks in aggregate in Graduation as well as B.Ed. OR (ii) Passed MA English (or) M.Sc in Mathematics or Physics or Computer Science (or) MCA with B.Ed Degree or Two years teaching experience in a Government recognized School/College. Passed Intermediate / 10+2 / Equivalent Examination in any stream/subjects approved by Central/State Education Boards with minimum 50% marks in aggregate and 50% marks in English. OR Passed Two years Vocational Course affiliated/recognised by CBSE / State Education Boards / Councils duly recognised at par with 10+2 by Association of Indian Universities (AIU) with minimum 50% marks in aggregate and 50% marks in English in Vocational Course or in Intermediate/Matriculation, if English is not a subject in Vocational Course. Selection Process : Candidates will be selected based on Written test, PFT, Medical Exam Interview. Selection Programme: The Recruitment Test will be conducted from 7 AM onwards as per the details available in official notification. Registered candidates who report at or before 10 AM on designated dates (01, 05 and 09 December 2015) at the Rally Venue only be tested. How to Apply: Interested candidates will be apply & reach their for recruitment test to given below. Venue : 5 Airmen Selection Centre, Old Pali Road, Jodhpur (Rajasthan). Registration Time: 08:00 a.m. to 11:00 a.m.